A Night Of MUSIC w/ Chester Gregory and Friends! I’m so excited to let you know that Chester Gregory with be performing at The Triad on Monday November 7th in “A Night Of Music with Chester Gregory and Friends”. This is going to be a great night and I know you want to be sure to be in the house. 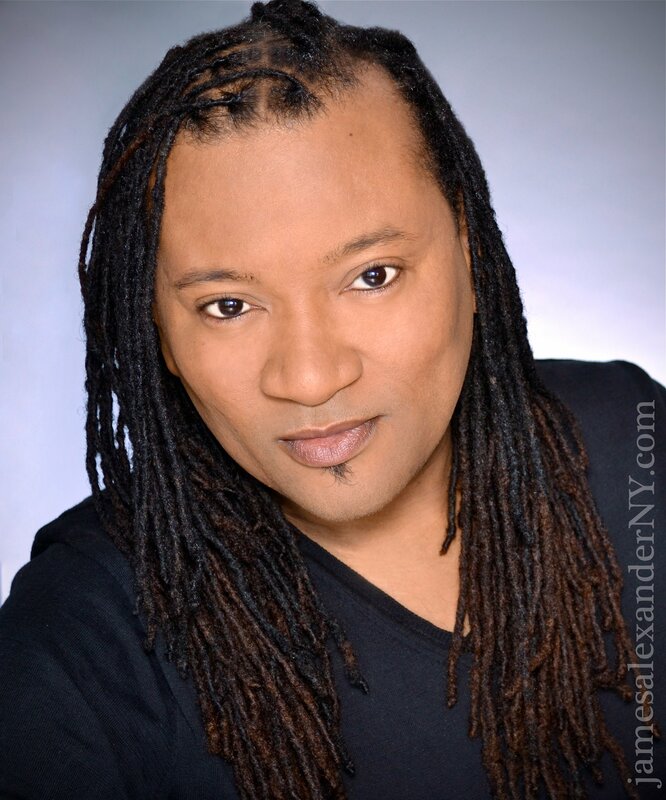 Special guest for the evening is the extraordinary Jared Grimes….and from what I’m told there will be other surprise guests in store and knowing Chester they will be well worth the wait. 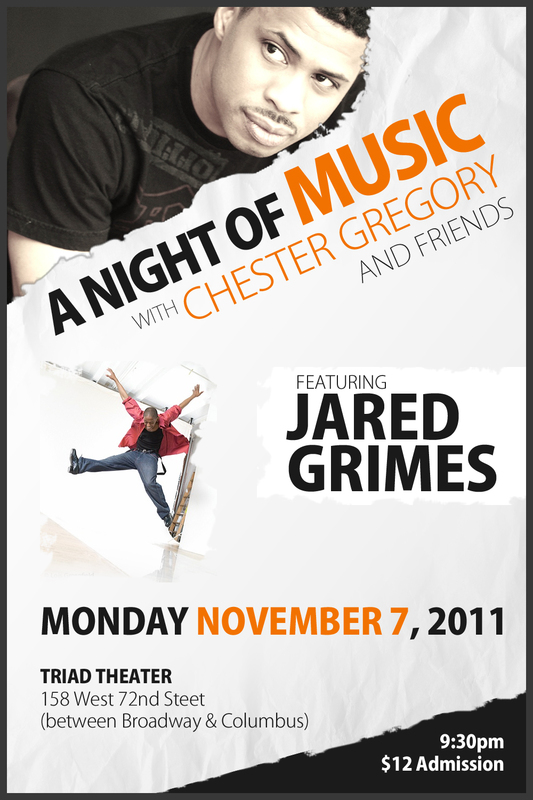 So I hope that you will join me on Monday, November 7th, 2011 9:30pm at the Triad Theater on W. 72nd. And if you can’t make it please tell a friend…better yet, post this on your social networks and let’s tear the roof off of the Triad! See you all behind the lights! Recording Artist and Broadway Star CHESTER GREGORY presently starring in Whoopi Goldberg’s Broadway production of “SISTER ACT” along with Entertainment Entrepreneur Ryan Glen are hosting a VIP Launch Party for their UnWord Mobile App game “UNWORD” on Sunday, October 16th, 2011 at Nectar Wine Bar in the Heart of Harlem. “UNWORD” is a highly addictive word puzzle game. The concept is simple, you are given a word and must make as many words out of that one word as possible. Each new word is assigned points based on their complexity, the more difficult the word the higher the point value. This allows you to challenge yourself and be creative all in one and makes gameplay interactive for all ages. Join us @ Nectar Wine Bar in Harlem on Sunday, Oct. 16th, 2011 7:30pm – 9:30pm and be one of the first to experince the excitement of this new word game. Available in the Apple App Store soon! Tomorrow is an another exciting day. We are happy to be sponsors of “Picture Incomplete” the creation of Mr. Trent Armand Kendall. This funny, musical, talented and poignant piece is something that I hope you all come and see. Tomorrow, Oct 2nd, 2011 7 PM let’s come out and laugh,clap and stomp our feet in support of Trent Armand kendall in “Picture Incomplete” See you all behind the lights. After a SOLD OUT run at Luna Stage, West Orange, NJ, Abingdon Theatre Company’s Sunday Series presents Picture Incomplete. It’s one man’s analysis of this world through the use of monologues, character studies and original songs. Come on the journey and meet Clarence (a homeless man), Mavis (a know-it-all neighbor), her two sons De Ron (a pretend thug) and Fred Jr. (an emerging gay fashion designer living life on his own terms). We also spend time with Grandpa, Sista Goins, a pill-pushing psychiatrist called Dr. Feelgood! and a prophetic preacher called Righteous Reverend who urges his congregation to “Be Complete!” Click HERE for tickets!